With a month of country living under my belt after the move back west (God, it’s great to be home), the boxes are finally unpacked and I’m readjusting to the easier pace of life in the homeland. There’s plenty to love, but a constant source of joy is just how little time it takes to get from A to B. Because Dublin has approximately 94 sets of traffic lights per kilometre, sometimes the drive to pick up a litre of milk and a few spuds entails more braking than driving. Here, you just turn the key in the ignition and you’re there. Dorothy and her red slippers ain’t got nothing on life in Mayo. It also strikes me daily how much friendlier people are. That’s part of our charm, but importantly, in a region depending so heavily on tourism, it’s also an essential business attribute. Hand in hand with that comes good customer service, which, it’s fair to say, is probably the norm. That’s why, when confronted with a bad experience, it jars all the more. But while the majority of encounters are positive, if truth be told, we could still sometimes do better. As a customer, when you go to the shop to buy a litre of milk, or to buy a stamp in the post office, what are your expectations of that experience? Do you like to be greeted with a hello, some eye contact, a chat? Do you prefer to be handed your change, rather than it being slapped on the counter? Entering a clothes shop, do you expect a friendly greeting and an offer of help? 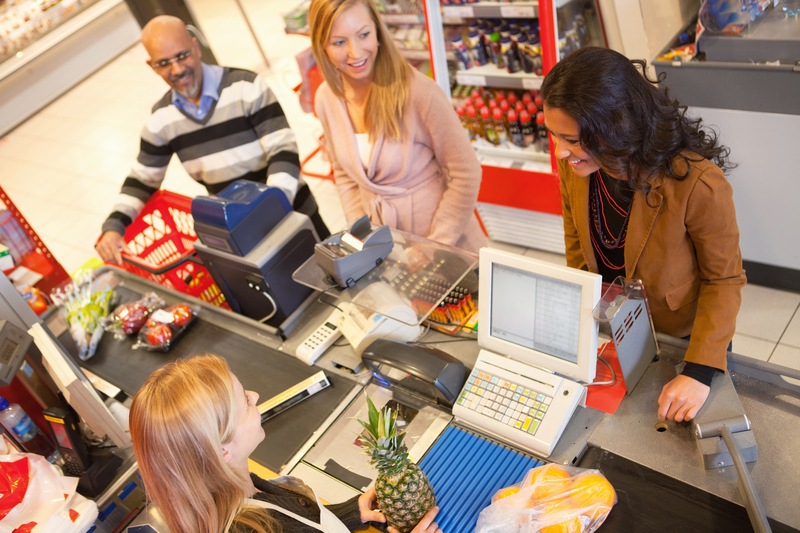 On your weekly shop, do you prefer it when the cashier talks to you, not their colleagues? Most of all, is a smile important? Most of us would probably agree that these are the most basic tenets of customer service. Having someone go the extra mile thereafter is just the icing on the cake. When the basics aren’t met, there is a knock-on effect. Chances are, if your experience in a shop is an unfriendly, unhelpful one, you’ll bring your money elsewhere next time. As a local, if you experience poor service in a restaurant or café, you’ll probably tell ten people about it. As a tourist, add TripAdvisor into the mix and tack on a few zeros. Poor service and lack of warmth in a business make for a poor tourist experience, and colour their entire impression of an area. Meanwhile, among locals it discourages loyalty. And whoever deals with customers is the face of that business, regardless of the name over the door. If that face is a scowling one, you’re onto a loser from the start. Little things, big implications. There are, of course, two sides to every argument. Working in the service industry and dealing with the public can be no picnic, and years of retail management in a past life taught me that contrary to popular belief, the customer is most definitely not always right. On the contrary, they can be rude, confrontational and frequently downright mad. Working in fashion exposed me to all sorts, from the “I know my rights” brigade (they generally don’t) to those who think it appropriate to use your fitting rooms for their bodily functions (yes, even that one). Once, I went home with a black eye, the result of a shoe thrown at me by a gentleman I can only describe as being overexcited. So there is little doubt that facing the public on a daily basis can bring its challenges. If you’ve just been eaten alive by an irate customer, it can be hard to plaster on a smile to greet the next one. But good service is essential for business to thrive and survive. Taking pride in your business will garner respect from your customers, and not just in the hospitality industry. Visiting tourists become part of our landscape for a while, using our supermarkets, our filling stations, our corner shops. Their experiences help to build their impressions of our county, as well as building our economy. And for those of us at home, service with a smile can brighten the day. But remember, it works both ways! This was originally printed in The Mayo News on 15th July 2015.